Is your bank account as prepared as you are to bring a horse into your life? Whether you opt to board or keep your horse on your own property will factor significantly into your budget. 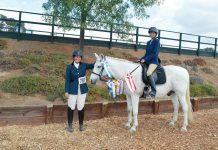 Once you have a few years of riding experience under your belt and feel pretty confident in your horse-handling abilities, purchasing or adopting a horse of your own may seem like the next logical step. 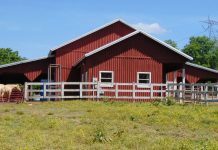 But before you commit to investing your time and money in horse ownership, you need to take an honest look at your resources to figure out if you truly are ready to take on this responsibility. Assessing the costs required to care for a horse isn’t an easy task. Because expenses like hay, vet care and boarding are so variable, there isn’t a solid number that you can plug into your household budget. In the following article, we’ll help you figure out how to research the costs as they apply to your situation. Then you can use our horse cost calculator to figure out what owning a horse will cost you each month and year. The decision that will have the biggest impact on your overall costs is whether you opt to board or keep your horse at home. For many owners, there is no choice. If you live in an apartment or in an area where land is prohibitively expensive, you’ll need to board. However, if you live somewhere rural, horse-friendly land may be easier to find than a boarding stable. For everyone else, there are pros and cons to both options. For first-time horse owners, it’s generally a good idea to board your horse somewhere with a knowledgeable manager who has the experience to help you handle problems as they arise. If you work full time, travel frequently or have a lot of commitments that will prevent you from spending time with your horse every day, a boarding stable will give you the peace of mind of knowing that someone is there to look after your horse when you can’t. Furthermore, horses are social creatures, and unless you’re looking to bring home more than one horse, you risk having a horse who is stressed due to isolation if you keep him at home. On the other hand, if you have the land available and a good support network to help you care for your horse, there are a lot of upsides to having him at home. You will be in full control of his care and can do things as you see fit, rather than acquiescing to the way things are done at someone else’s farm. 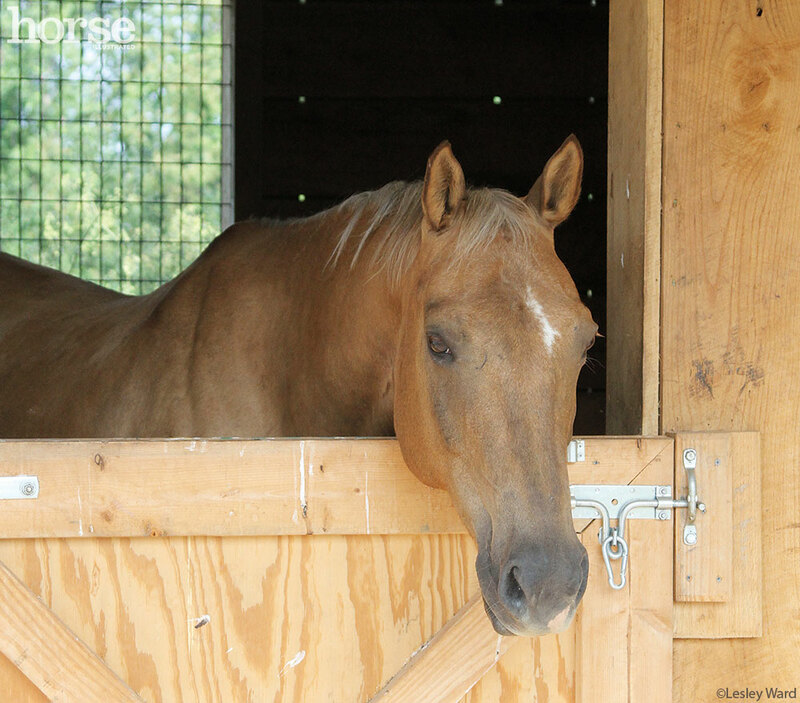 Horses are social creatures, so home horsekeepers need to provide equine companionship. 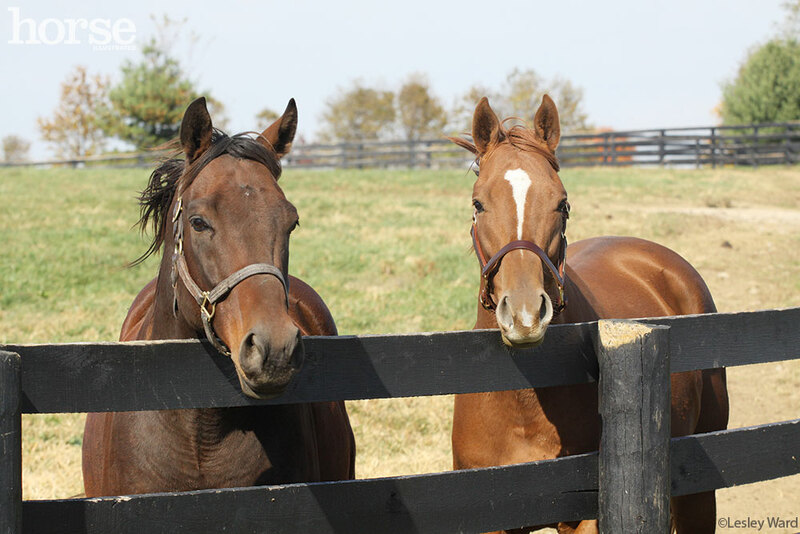 Can you support two horses on your property? That said, boarding options can range from the bare bones (nothing but a field for your horse to roam) to full-care with all the frills (blanketing, grooming and a mint on your horse’s pillow every night). If you opt to board, make sure you know what expenses fall outside your monthly board check. This should be in writing in your boarding contract. Remember that costs vary widely from place to place and even year to year, so to get a good estimate, you will need to do some homework. Your best resource is word of mouth. Ask your riding instructor or horse-owning friends and neighbors what you can expect to pay for essentials like hay and grain. You can also inquire at your local tack and feed stores, as many of them will have a good gauge on the local market. Don’t be afraid to call area vet clinics and farriers to ask what their prices are for standard services. It’s better to know this information up front than to write them a rubber check later. If you don’t currently have any horse-community contacts, other options include perusing online ads specific to your location, inquiring on the message board section of your favorite horse website, or checking out the classifieds in your local horse or agricultural publications to find out what the going rates are for horse-related services. Hay prices vary according to weather, gas prices and your location. If you live in the Midwest and the growing season goes reasonably well, expect to pay about $3 to $5 for a 40- to 60-pound square bale. If you live near a major metropolitan area or in a location where hay must be brought in from far away, it could go as high as $25. If you have a lot of land with good grazing, you may not need to feed any hay from late spring through early fall. Even if it doesn’t snow much where you live, plan to purchase hay for the winter, since winter grass won’t provide much nutrition for your horse. When hay is the primary source of forage, expect to go through a small bale of hay per horse every two to three days. An average pleasure horse doesn’t require much supplemental grain, but if your horse is in heavy work, is growing, is a hard keeper, or if forage is in short supply, you may need to feed a concentrate. This could cost you $10 to $15 for a 50-pound bag of a basic grain or $20 to $30 for a premium grain. A bag will last about two weeks per horse if you’re feeding fairly conservatively. A horse who needs a lot of extra calories might go through a bag every week. At minimum, you should expect to have your vet out once per year to give your horse his spring shots and a basic wellness exam. Don’t try to save money by skipping this exam. Preventive care is much more economical than an emergency call later on. Furthermore, part of responsible horse ownership is ensuring that your horse is protected from contagious diseases. Most vets will charge for each vaccine or procedure, as well as a farm call. If you board, you can save on the farm-call fee by scheduling a group visit with other boarders. You can also combine all of your standard procedures into one visit by having your vet check your horse’s teeth and general condition when he or she comes out to administer vaccines. There’s no reason to be surprised by a vet cost. Before you decide to purchase a horse, find out about local equine vets and call their clinics to inquire about costs for basic procedures, as well as the standard and emergency farm-call fees. Most clinics will be happy to give you an idea of what these costs are; it is in their best interest to have customers who are prepared to pay their bills. Expect to pay $100 to $400 for that annual visit, but sock away an emergency fund in case your horse has a serious illness or injury. It’s not pleasant to think about financing veterinary emergencies, but you’ll be grateful that you planned ahead if the need arises. Know ahead of time how much of a financial burden you can take on for a veterinary procedure. If your horse is older or has existing health problems, he may not be able to survive a major issue, such as a colic surgery, and still have a good quality of life afterward. However, if you have a young, fit horse that you’d like to have around for another 20 years, think about building up an emergency fund of $1,000 to $5,000. A colic surgery will cost $2,500 at minimum and could be as much as $10,000. Many vets are willing to work out a payment plan for this kind of expense, but you’ll be better off if you’re prepared to pay the bulk of the cost up front. There are also insurance plans that will help cover certain veterinary costs. The annual cost for insurance will range from around $250 to $1,200 depending on the level of coverage you choose. If you thought your shoe-buying habit was expensive, wait until you find out about your horse’s footwear needs. He’ll need to have a professional farrier visit every four to eight weeks to trim his hooves and replace worn-out shoes. If you are fortunate enough to have a horse with good, strong hooves and no lameness problems, you may be able to keep him barefoot. A simple trim can be as low as $25, but expect to pay a bit more if the farrier is only coming out to the farm to see your horse. If you’re at a boarding stable where your farrier has several clients, you can sometimes get a discounted rate, since he’ll be getting a lot of business from a single stop. If your horse wears shoes, this will cost a minimum of $60. Even plain keg shoes can be as high as $200 if you’re in a high-cost region or have a farrier whose services are in demand. Some horses may need specialty shoeing, which can increase the cost even further. Get recommendations from horse-owning friends, and check your prospective farrier’s qualifications. He’ll end up being a frequent visitor to your farm and an important part of your horse’s ongoing health and soundness, so make sure you find the right one—and make sure he’s one you can afford for the long haul. 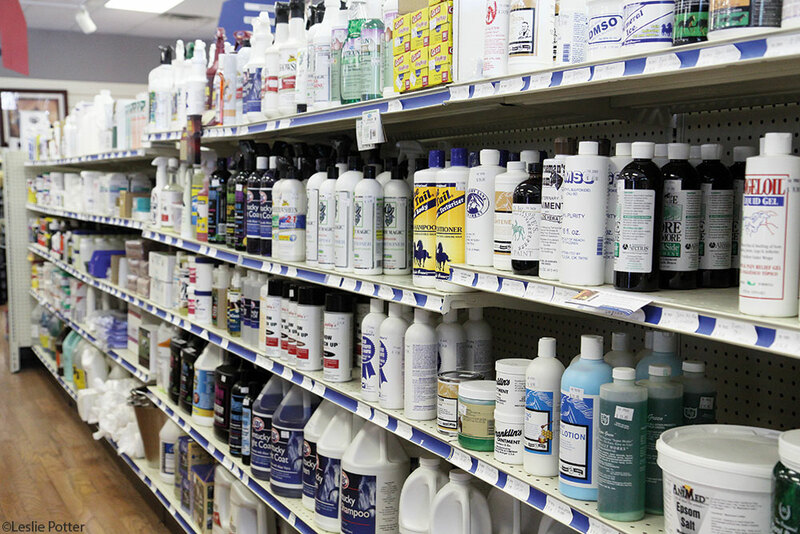 Horse care supplies need to be restocked periodically, so factor in some of these smaller costs. When you have all of your major expenses factored in, it’s time to look at the smaller costs that will add up once you have your horse at home. Your tack and horse care supplies will be substantial initial expenses, but once you’ve purchased those things, you won’t have to worry about them for a long time. Some items, like halters and fly masks, have a way of getting broken or lost, so make sure you can absorb an occasional replacement. Other supplies—like fly spray, hoof dressing and horse shampoo—will need to be restocked periodically as a matter of course. 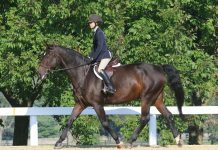 Whether you’ve been taking lessons recently or not, consider budgeting for a few lessons each month during the early days of your horse ownership adventure. An experienced trainer will help get you through the introductory period and fix minor issues before they become full-blown training problems. Also look into joining your local saddle club or your state’s association for your breed or sport of choice. For a small annual membership fee, this can help you connect with like-minded horse owners and find fun activities to do with your new equine friend. Of course, you don’t have to participate in shows or organized trail rides to enjoy your horse, but don’t discount the idea entirely. Part of the fun of having a horse of your own is finding new adventures to take on together. This is great information and advice on the cost of horsekeeping! I have found that there are many ways to reduce the costs of keeping horses at home. Hay is usually my largest expense. I have found that stocking the loft when the price is at its lowest in the summer is the way to go. If you wait until winter to stock your loft, the cost skyrockets. You can usually get a better deal if you are willing to take the hay off the wagon and load it into the loft yourself. In the winter when many farms are running low on hay, dealers have an easier time increasing the price without any pushback. So, get your hay when the price is low! Supply and demand And estimate how much you will need to get you through to next summer! Also, take advantage of the large number of horse owners having spring and fall vaccines done at the same time. Our vet clinic offers a reduced farm call in the spring and fall for shots and dental exams only. The clinic organizes it by where you are located and groups nearby farms together on the same day. This saves the vet time by condensing calls and the farm owner money by paying a reduced farm call for routine vaccines.